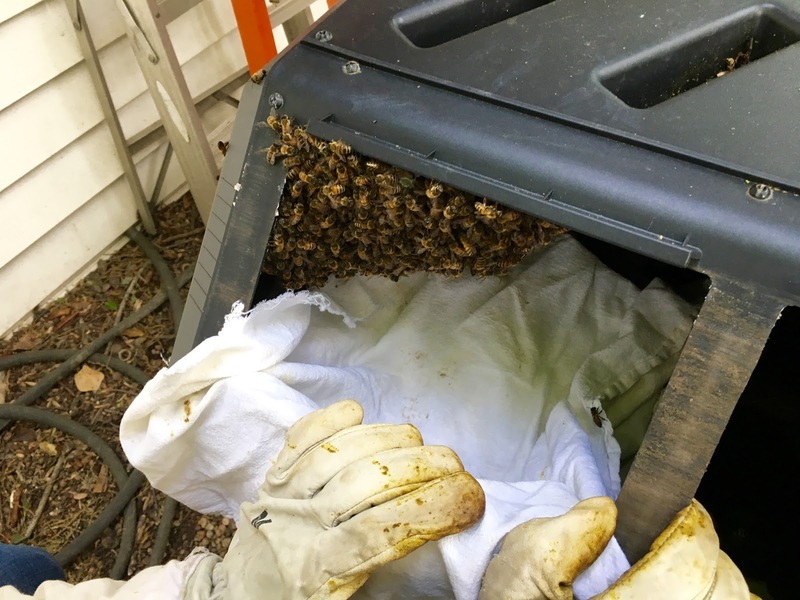 One of Jeff's friends had found a swarm in her compost bin and told Jeff he could have the bees if he'd like to get them. He texted me yesterday but I was too busy. "No problem," he told me. "They are already building comb and have moved in. We can go tomorrow." I had just heard Bobby Chaisson talk about doing cut-outs at my local bee meeting. 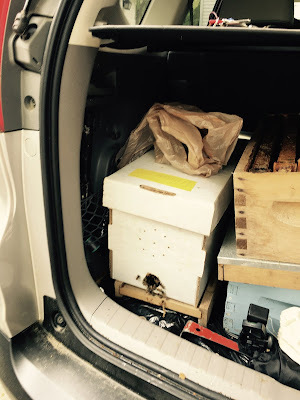 So I packed the car this morning to cut the bees out of the compost bin - big, big rubber bands, two nuc boxes with totally empty frames, a spray bottle of syrup, in addition to my hive kit which has everything. I asked Jeff to bring a sharp knife and a flashlight. You can see the comb that has been drawn through the clutching bees. 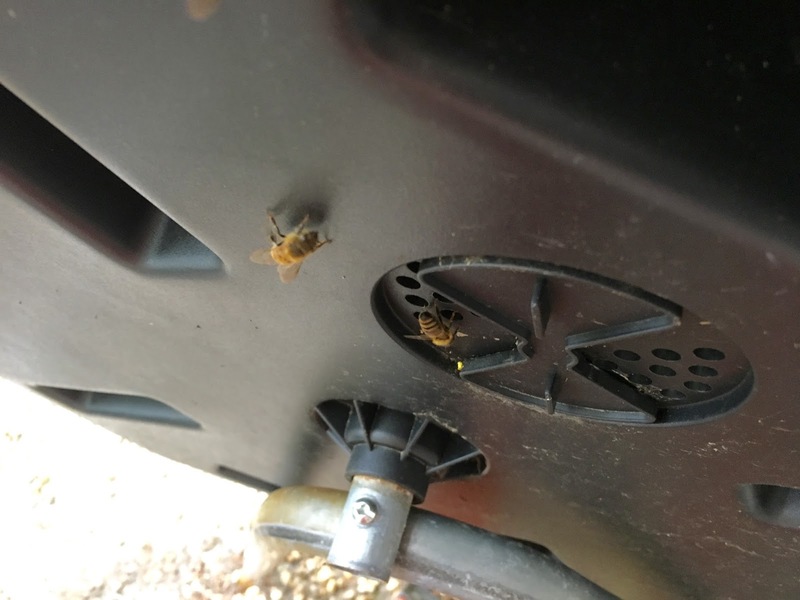 The bees were using the air holes in the compost bin as entrance into the compost bin. The holes just fit a bee. I truly didn't know how we would get them. 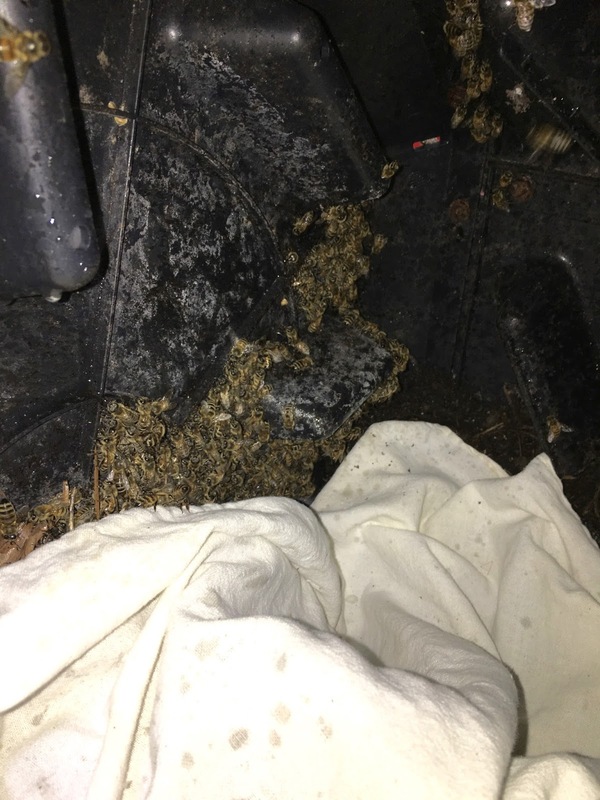 My first inclination was to spread a hive drape under the bees to help us see the ones that fell. 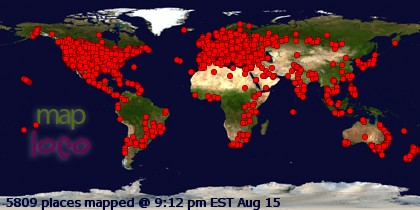 Turns out that was the best thing we did. I started by spreading two hive drapes. If you don't know/remember, I regularly use flour sacking towels as hive drapes when I inspect bee hives. I cover the exposed top of a box and only uncover the frame I am taking out of the box. The bees stay calmer. 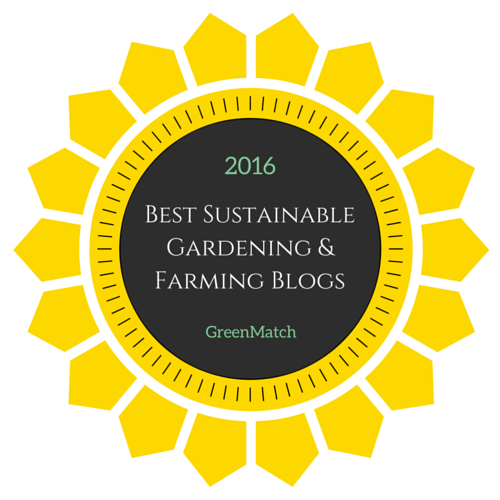 So here are Jeff's hands and the hive drapes inside the composter. My guess is that this is a secondary swarm who left their hive with a virgin queen. Then we had cold weather and the queen couldn't fly nor could the scouts. They decided to remain in the composter and started drawing comb. It's not much different than top bars in Africa inside split barrels. I expect they've only been in the composter for a couple of weeks. Even after we had cut and rubber-banded all of the comb, there were still tons of bees left in to composter. The bees were indicating that the queen was still in the composter. 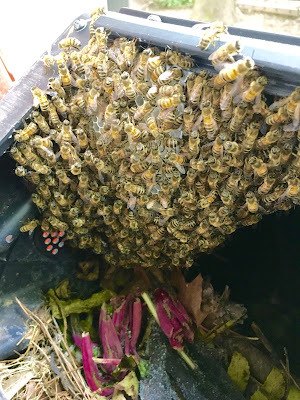 We tried using the bee brush and brushing the bees into a plant saucer, then dumping them into the cardboard nuc we had brought, but that only yielded a few bees each time. Then we figured out how to use the hive drapes. We added a few drapes so that we had about four stacked up. Then we brushed the bees off of the inside of the composter and onto the hive drapes. Instead of picking up the drape, I folded the edges into the center, picked up the drape which was full of bees and put the cloth, bees and all, into the cardboard nuc. We did this until we ran out of both bees and hive drapes! Finally the bees let us know the queen was in the hive box. We must have gotten her in one of the drape carries. We waited about 20 minutes until most of the bees were in the hive and then put the nuc in the back of my car. After lunch, I installed them into a hive in my backyard. 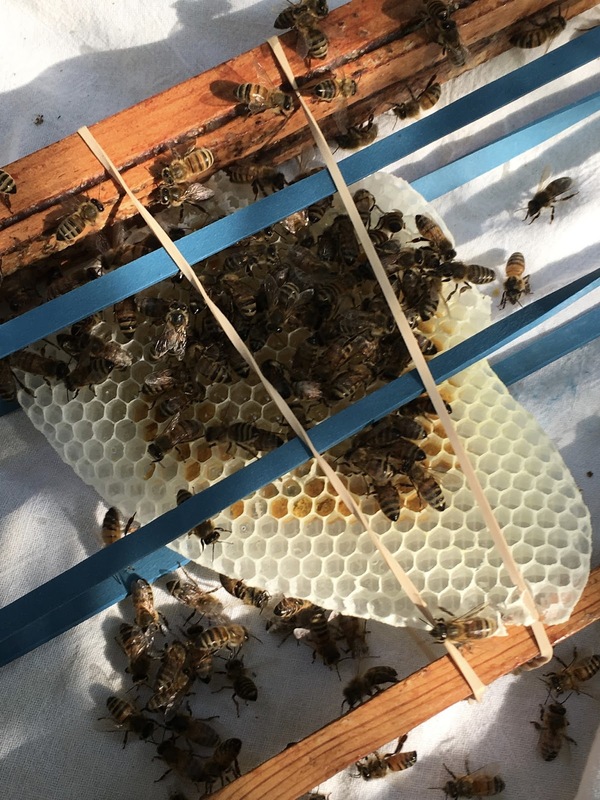 First I dumped the drape covered bees into the open space in the hive and then moved in the rubberbanded frames. This afternoon the bees were all in the hive and doing orientation flying.